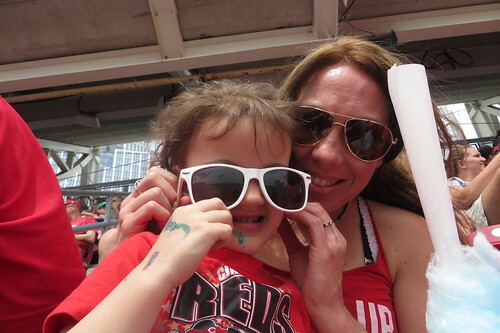 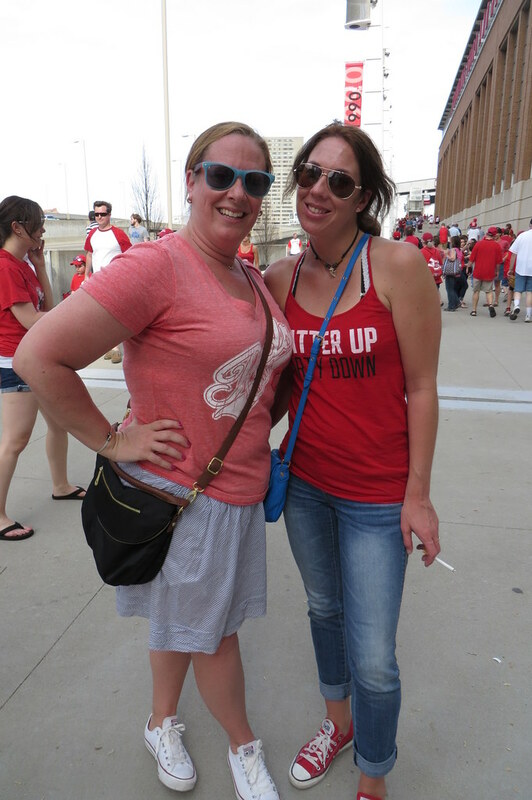 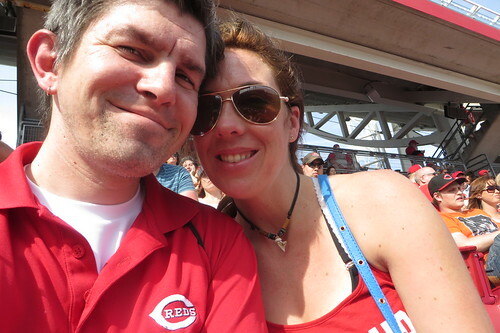 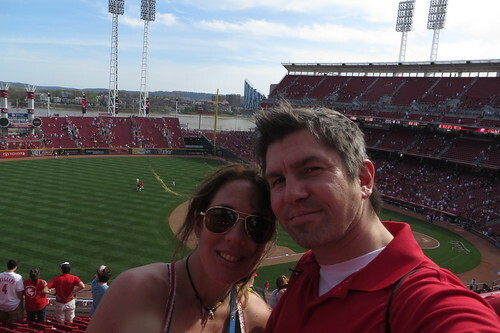 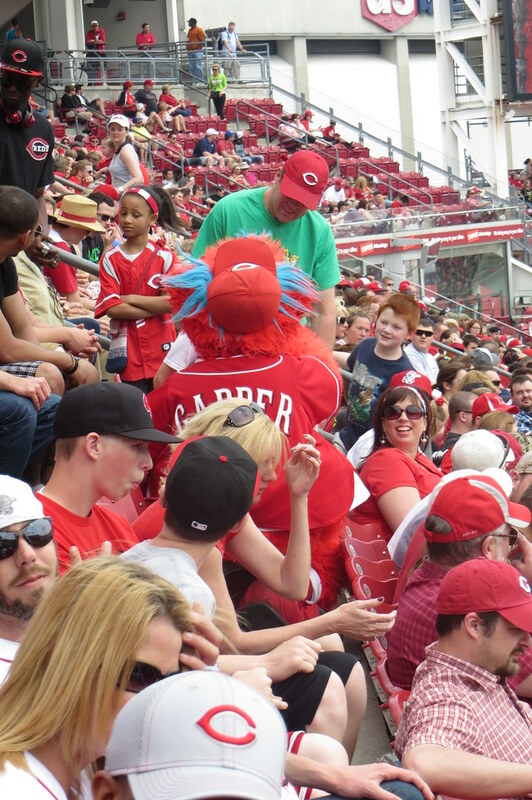 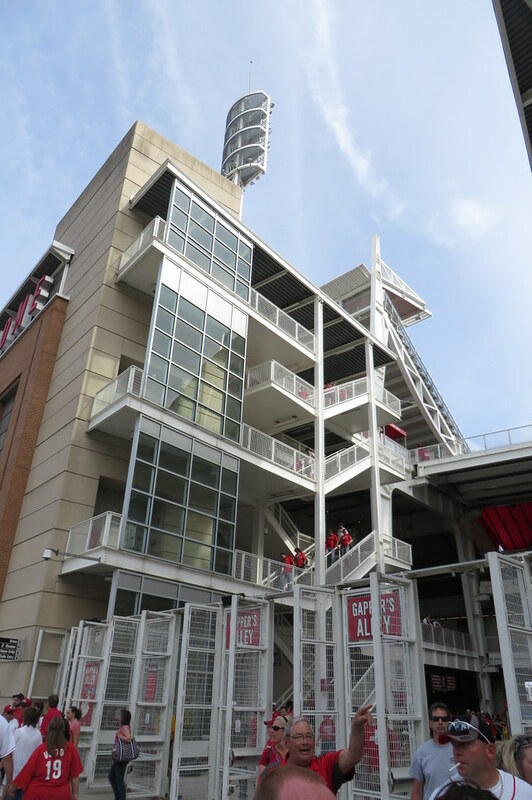 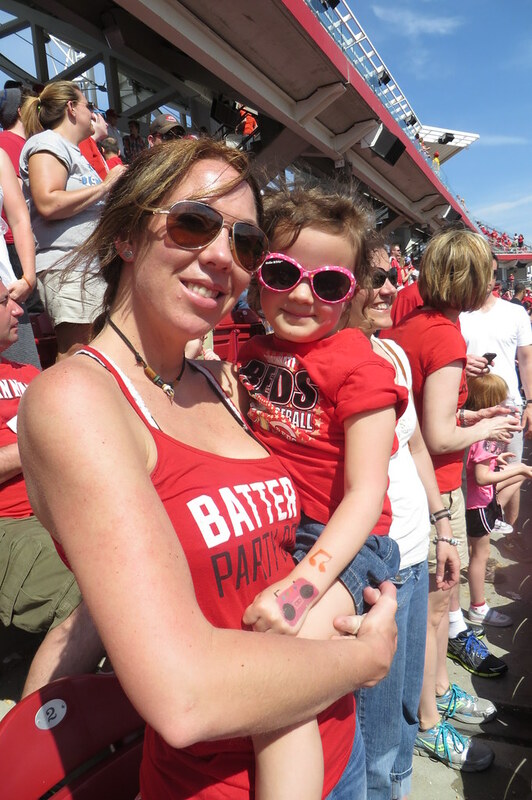 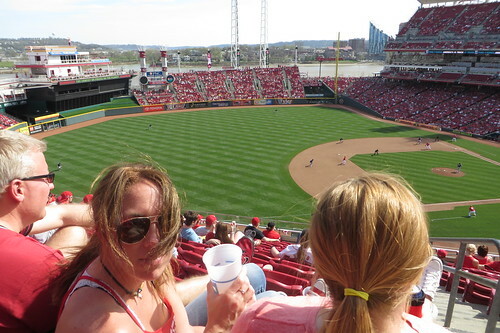 Thadd+Friends: Reds baseball game #2! 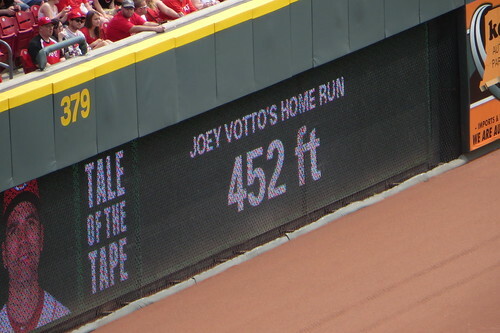 over two rows. 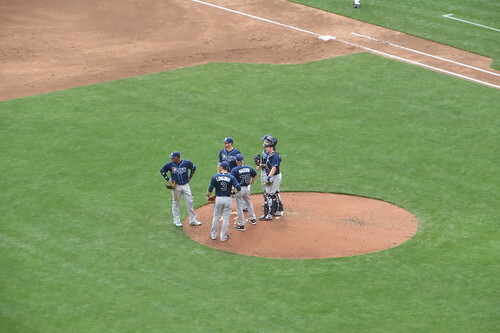 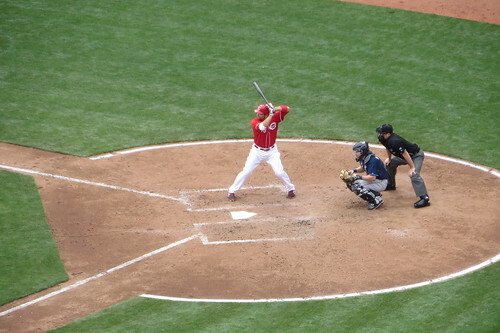 We did have really great seats though. 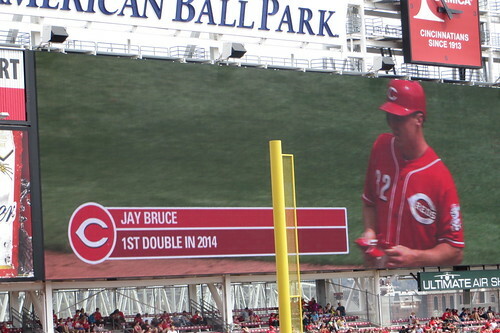 Maybe that was part of the problem. 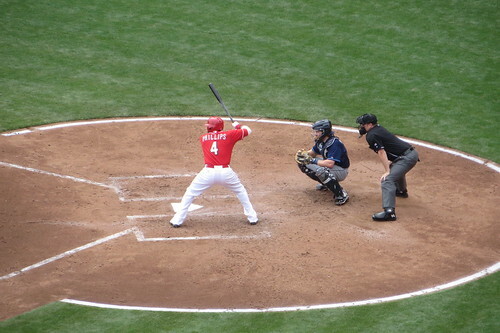 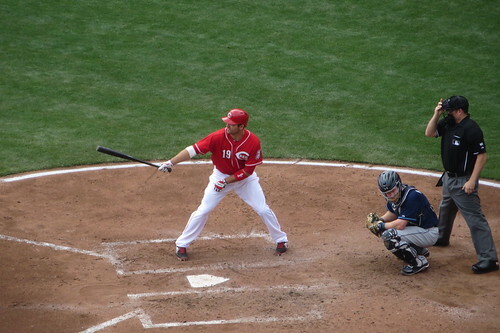 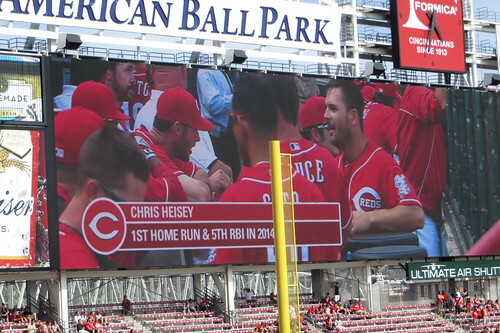 Chris Heisey cleared the bases with his first career grand slam! 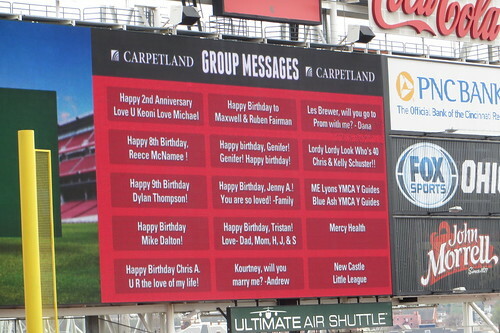 What great game to celebrate Genifer's birthday! 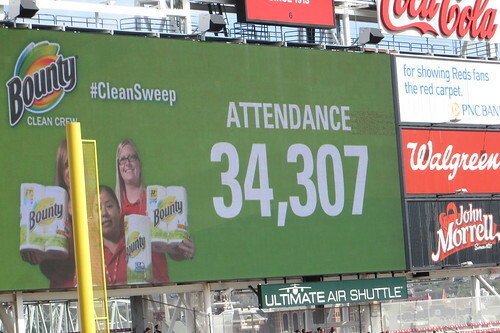 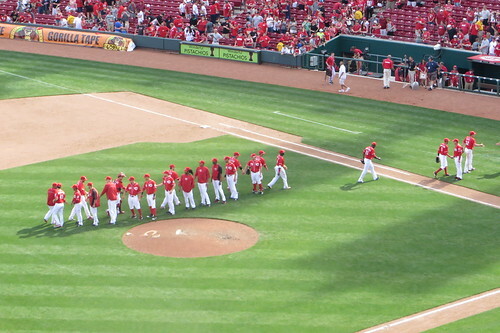 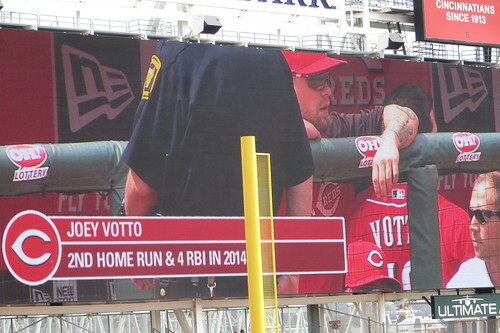 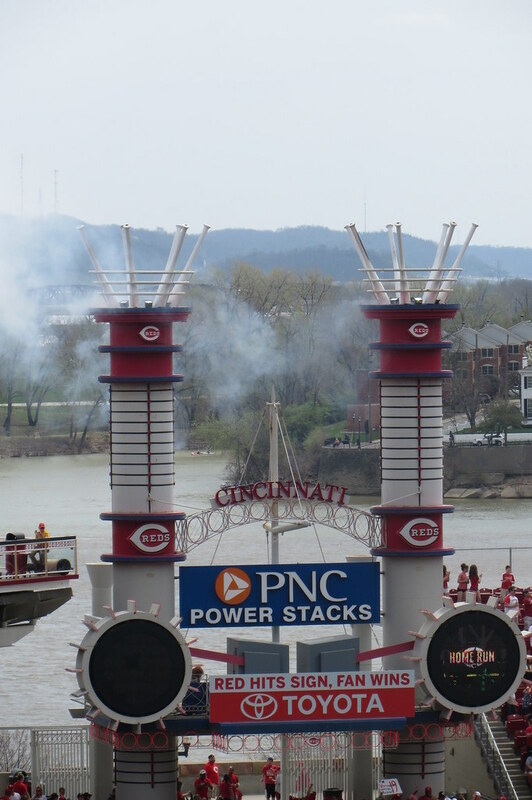 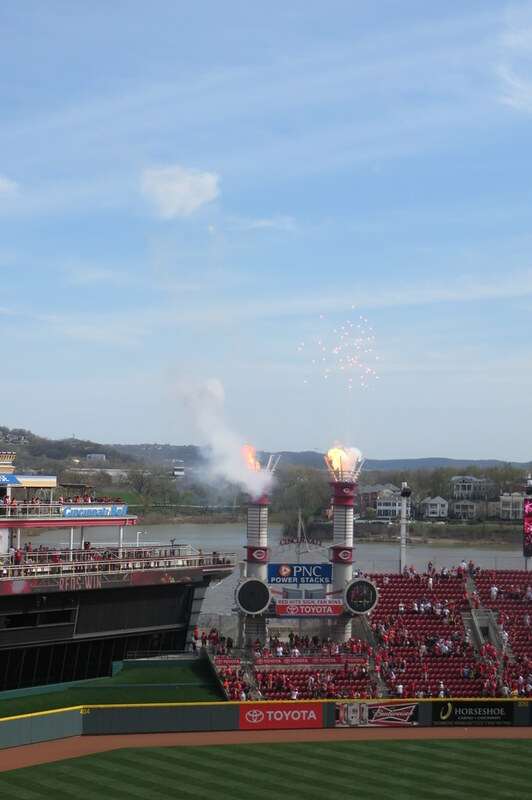 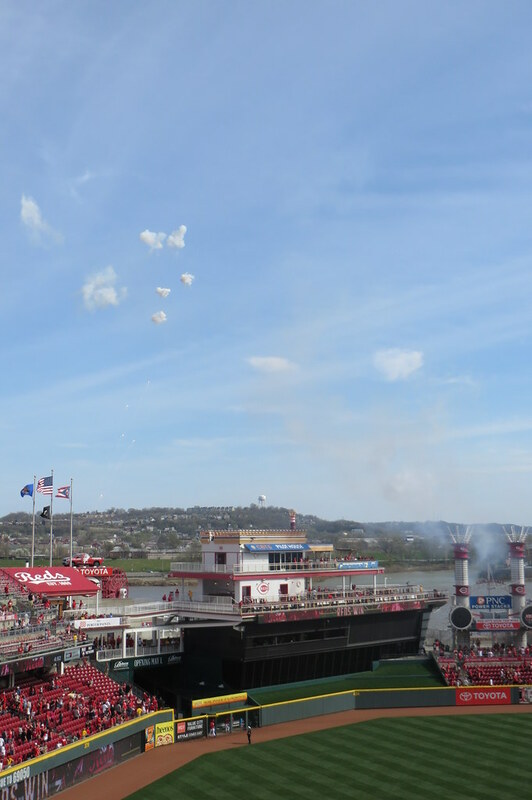 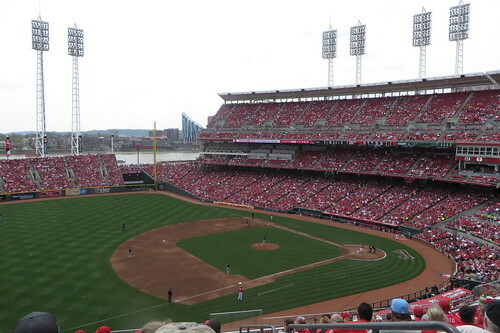 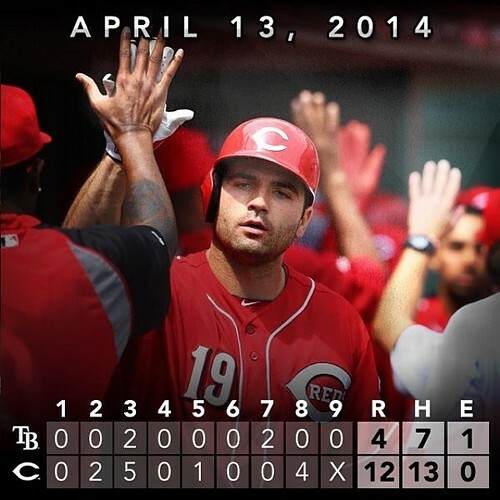 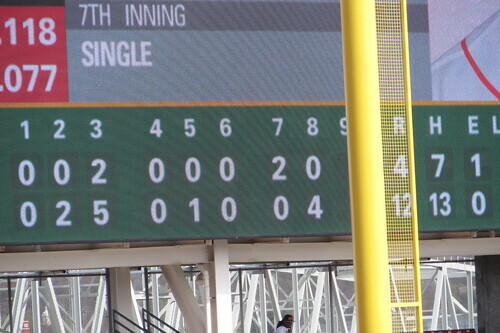 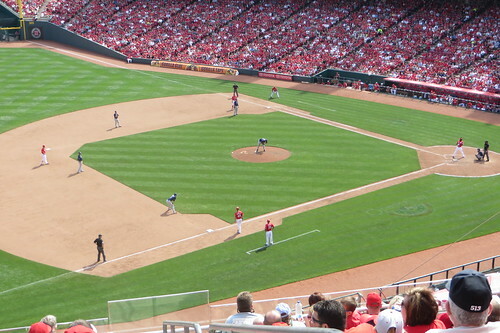 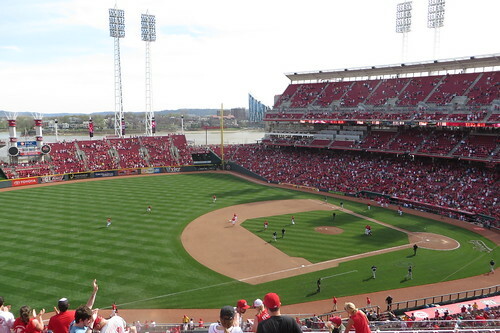 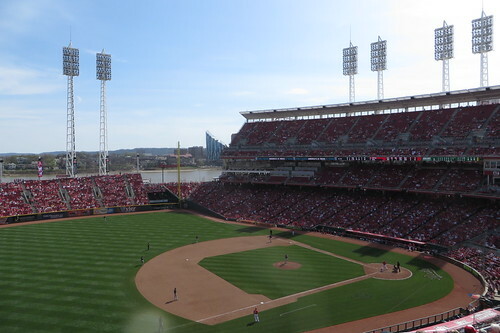 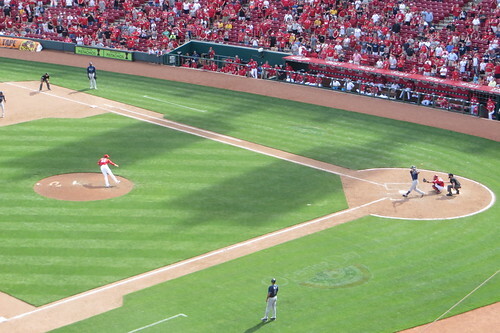 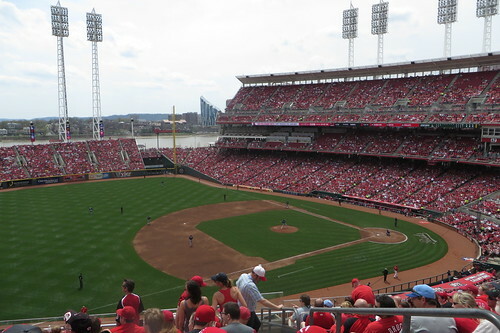 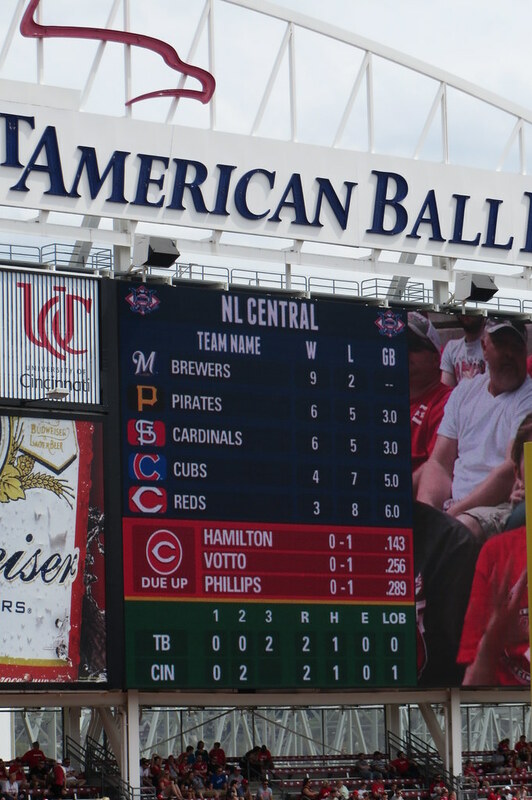 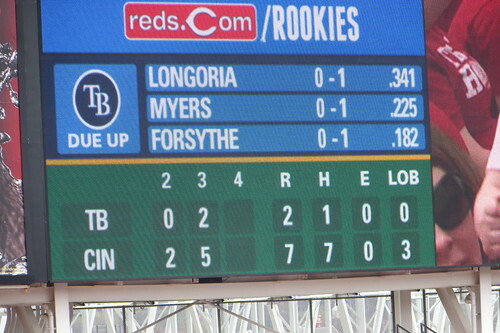 We're now 2-0 at Reds game this season!